#1 New York Times Bestselling AuthorMajor Crimes Unit detective Tom Wade secretly worked with the Feds to nail seven of his fellow cops for corruption...turning him into a pariah in the police department. 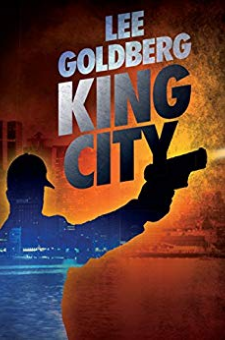 So he's exiled to patrol a beat in King City's deadliest neighborhood... with no back-up, no resources, and no hope of survival. Now Wade fights to tame the lawless, poverty-stricken wasteland...while investigating a string of brutal murders of young women. It's a case that takes him from the squalor of the inner-city to the manicured enclaves of the privileged, revealing the sordid and deadly ways the two worlds are intertwined...making his enemies even more determined to crush him.But for Tom Wade, backing down is never an option...even if it will cost him his life. It's one reason why bestselling author Janet Evanovich calls Wade "an unforgettable and deeply compelling character in the most original crime novel to come along in years."